The task may seem as arbitrary as selecting one goldfish among twenty in the petshop aquarium, but there are actually a few perfectly reasonable things you can do to find a translator who will do a good job for you. Let’s assume you’ve already figured out exactly what you need to translate, and you’re also clear that you need a high level of quality because you are publishing something that matters, whether it is a scholarly article, an annual report, or the recipes of a beloved friend. But first, do you need a professional translator? You can ask a bilingual person to do the job. If they are on your staff, this will appear to be cost-free. But being bilingual is not enough to make someone a good translator. There are other requirements. The most important of these is that the person must be a very good writer in the target language. If the person is not skilled enough, your translated document may not say the same thing as the original, or it may sound odd to native speakers. (Or both). You can hire a translation student. They will be less expensive than a professional translator.  You will need a way to assess the quality of their work – and if the translation is poor, you will be back to square one, looking for another translator, but with a depleted budget and a looming deadline. You can use Google Translate. This is the fastest and cheapest thing you can do. The outcome will not be pretty. Google Translate has improved but it is still erratic. It is sometimes perfectly acceptable, and sometimes truly awful. It can make you say something atrocious in the target language, and unless you are a native speaker, you may not be aware of it. So you need a professional translator. Now what? An agency will provide you with a team of translators that can translate a long document at relatively short notice, produce versions in multiple languages, and guarantee that someone will always be available for you. The downside is that you may have little or no contact with the translators themselves, and your documents may not always be assigned to the same people. If you hire a freelancer, you will know who is doing the work, you will be able to talk to this person, and over time she or he will become knowledgeable about your endeavours. You can find a freelancer through professional organizations such as OTTIAQ or the LTAC. Or – this is probably an even better way, if you have the contacts – you can ask around for recommendations. Once you have found a translator, learn more about them. How long have they been translating? Are they certified? Do they have a translation degree? Are they familiar with your kind of material? A skilled translator knows how to explore new areas and learn new terms, but if your text is very technical, you will be better off with someone who already knows the terminology. Can they show you samples of their previous work? Some translators are willing to translate a paragraph free of charge so that you can get a sense of their abilities. You can ask for this. What is the translator’s native language? Normally, people are best at translating into their first language. There are people who can translate in both directions, though, and I know this because I happen to be one of them. You need not dismiss someone out of hand if they are translating into their second language, but it makes sense to ask to see some of their work. Actually, this is always a good idea. How much will it cost? Translators charge by the word, or sometimes by the hour. Rates can vary by a factor of 10. While there is not an absolute correlation between price and quality, if you pay a very low rate, you may not be happy with what you get. How long will it take? It all depends on the text. Personally, I can do twelve thousand words a week when it’s easy; five thousand might be a maximum for texts that are tricky or call for extensive research. Sometimes, we’ll need more time because we have other commitments. But when we say we can’t meet your deadline, that often means we know we can’t do a good job that quickly.